MANILA – Gold plunged 4 percent to its lowest in more than five years on Monday as sellers in top consumer China sold off the metal in a matter of minutes, just as bullion’s safe-have status takes a fresh knock from mounting expectations of a U.S. rate hike. Bullion fell to as low as $1,088.05 an ounce – its weakest since March 2010 – shortly after the Shanghai Gold Exchange opened trading, with volumes soaring to a record level. Gold had regained some ground as the selloff subsided, trading above the key $1,100 support level. “The market looks very technically weak and the biggest buyer of all, China, is now selling gold as opposed to buying it on price dips. That’s a recipe for weaker prices,” said Victor Thianpiriya, an analyst at ANZ Bank in Singapore. More than 1 million lots were traded on a key contract on the Shanghai Gold Exchange, compared to less than 27,000 lots on Friday, Reuters data showed. Prior to Monday, the volume for July had averaged less than 30,000 lots. Spot gold was down 2.3 percent at $1,107.20 an ounce by 0423 GMT. “It looks like someone was taking advantage of the low liquidity environment at the moment. It’s a bit of speculative selling going on,” said Thianpiriya. 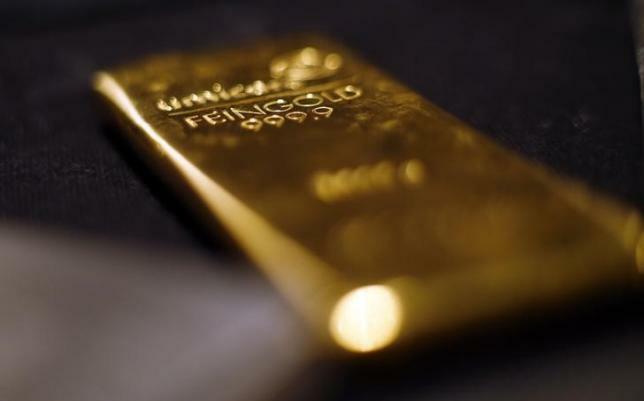 China said on Friday its gold reserves were up 57 percent at the end of June from the last time it adjusted its reserve figures more than six years ago. Despite the tonnage increase, gold now accounts for 1.65 percent of China’s total foreign exchange reserves, against 1.8 percent in June 2009. Gold has breached key support levels since last week as the dollar gained after Federal Reserve Chair Janet Yellen told Congress that the Fed is on course to raise interest rates if the U.S. economy expands as expected. There were stop-loss orders around the $1,131 an ounce level, said a Sydney-based trader, reflected in a spike in volumes on Comex futures. “I just feel there’s a big push to get gold below $1,100 and then we bounced very quickly,” said a trader in Hong Kong.